It's an exceedingly common scenario these days to want to make a virtual machine out of some physical machine. In fact when it comes to reproducing an environment I can't think of a more thorough way (especially when there's multiple machines involved). This often leaves someone tasked with finding a powerful, affordable, and flexible physical to virtual conversion utility. Now finding a P2V solution isn't really a challenging problem, but finding one that's easy to use is. I would encourage anyone who's ever been frustrated with the P2V tools on the .VHD (Microsoft Virtual Server, Virtual PC) side to consider making a .VMDX instead (VMWare Workstation, Server, Fusion). Just walk through a wizard, click hit a few radio buttons, and you'll be creating a hot clone in no time. You're likely to get a much smoother ride with Windows XP and Windows 2003 as they both make use of the Volume Shadow Copy service, but supposedly you can make hot clones with the other OS's as well (I've only made hot clones on Windows XP and Windows 2003). Like any task that could go horribly wrong, there's a couple of things you should check before selling yourself on hot clones, or at least placing any bets. Don't just take my word for it, try the utility on some machine you don't like and create a clone (hot or cold). When you're done, just be sure post a YouTube video of you Office Space'ing the machine just like these guys did. The clones should be made hot, the revenge should be served cold. Note: Some employers take offense to employees taking their hardware into fields and striking company assets repeatedly with with sports equipment, regardless of whether or not a hot clone has been made. Who Is This Handsome Helper? If you've never heard of Robocopy (Robust File Copy) you're missing out. When it comes to reliably coping files over an unreliable network, there's no better tool. In fact Robocopy just recently saved my bacon, which is why I'm writing this in the first place. Originally distributed with the Windows 2003 Resource Kit, Robocopy is now available on Windows XP, Vista and Windows 2008. It's worth mentioning that Robocopy isn't anything like RoboCop, they just sound the same, they both never quit and neither of them are very entertaining to watch (boo-yeah!). Relentless - By default if Robocopy fails (ie. your network connection cuts out) it will retry every 30 seconds until it's tried to copy the files 1 million times, if there's even a remote possibility of getting that file over the wire, it will get there. Given good uptime, odds are that your source machine will die from hardware failure before Robocopy has stopped trying to deliver your file. I dream of a world where USPS had this kind of stamina. Resumable - You can throw down the /Z switch and files will pick up right where they left off. Don't believe me? Try the following; start copying a large file over the network (with Robocopy and the /Z flag) and then toy with Robocopy by unceremoniously pulling out the Ethernet cable. Robocopy will first throw an angry error and then relentlessly retry every 30 seconds until either your file has been copied or you've gone Office Space on the source machine (there's no switch to defend against that). Plug the cable back in and voila, the file automagically resumes. Trust me, this trick is great at cocktail parties and a smash hit with most women. It's worth mentioning that resumable copying does happen a little slower (30% slower in my tests). Replication - Robocopy is exceedingly good at replicating/syncing directory structures. There's never been an easier way to mirror directory structures or file systems. My only wish is that I could get this utility to call some code once it's done (for notification). Yes I could use a process or file watcher but I'd still like something a little cleaner. I feel like I'm being left in the dark. Maybe that's the very nature of fire and forget...I shouldn't need a notification. So next time you're trying to move a lot of files over the wire consider using a utility that is specialized with this very same problem. I've seen (and written) a lot of code that tries to be smarter than it needs to be, none of it has had the effectiveness or cost of ownership of this precious little utility. I wish on you a buggy network, but great file copying. I think most people would agree that problem solving comes in pretty handy when it comes to software development. Knowing what you can infer given a set of data or exactly what you need to provide a feature is key in coming up with a lean solution. It was a Data Structures and Algorithms T.A. who first convinced me the value of puzzles when it comes to programming. We were trying to come up with a solution for Instant Insanity when a fellow student asked if there was really any value in knowing a solution for a children's game. The T.A. then made the excellent point that when you brush away all the noise from most business problem you essentially end up with a simple (albeit potentially dull) puzzle. In fact being able to solve Instant Insanity puts you in a great position to solve a lot of constraint based scheduling problems, a family of concerns that many businesses (ie. airlines) can use to save millions of dollars a year. Being able to solve puzzles algorithmically is analogous to solving business problems in code. So where do you go about getting good puzzles to solve? A coworker recently pointed me to a site called Project Euler (as in the mathematician). The site boasts a sizable collection of math based problems that are meant to be solved programatically. Once you come up with an answer you can submit it and get immediate feedback. The problems are ranked in terms of difficulty and some of them are guaranteed to get you thinking...in fact, that's the point! You're forced to repeatedly go through the motions of problem decomposition, doing this exercises mental problem solving muscles. Once you come up with an answer, you can compare your approach to that of thousands of other developers and get some perspective on different approaches. Consider the following problem (Problem 9). It's the 9th problem in the site's inventory of 216 problems. While finding the solution is far from impossible (in fact 19885 people have already solved it at time or writing) it will get definitely test your problem decomposition skills. A Pythagorean triplet is a set of three natural numbers, a b c, for which, a2 + b2 = c2. Trust me that finding the answer is a journey worth taking. It involves both programming and problem solving, is there any better way to learn? Unfortunately for me, being a well rounded SharePoint developer involves a broad range in skills. Not only do you need to become familiar with the SharePoint object model and a litany of MOSS technologies (Excel Services, Search, BDC, IPFS). Knowledge of ASP.NET, Web Parts, Workflow, XML and XSLT are also near essential competencies when it comes to a rounded SharePoint tool belt. This is of course my opinion, fact...is another matter all together. If I had to pick a weakest link out of the above, XSLT would probably be my Achilles heel. Lucky for me most of the changes I make to style sheets are mild in nature. They usually center around styling the output from some out of the box SharePoint web part. I'm not an all star, but when paired with a decent XSLT debugger I can usually muddle my way through. Today I was styling a BDC Web Part and having a difficult time getting the result I wanted. It got repetitive enough that I decided flailing at the problem probably wasn't going to improve the situation, and that pointing a debugger at the style sheet would probably save me time in the long run. Reflect on the Web Part and try to figure out where it's getting the result set from and do the same. Provide the Web Part a style sheet that simply produces the same XML which it gets applied to. At this point I'm positive there's some XSLT developer out there rolling his eyes at me for posting entry level XSLT on the web...but that's what newbs post. Newbish content :-). In fact my next post about XSLT isn't likely to get much better. If there's a simpler solution do let me know. It happens all the time, SharePoint web applications are put in Full Trust simply because the developer can't be bothered to learn about his options, nevermind exercise them. Don't feel bad if this sounds familiar, I've done it too. In fact we're both just two of many, a growing army of developers that simply "fix" the problem by setting the <trust level="Full" originUrl="" /> in the web.config. We move on with our lives and gleefully watch runtime exceptions disappear thinking we're doing the world a favor. Unfortunately we're also exposing our applications to unnecessary security risks and when the SharePoint content database gets mangled because some developer decided to let all code run in full trust...you're going to wish you'd read to the end of this post. Code Access Security (CAS) is all about protecting a bunch of code in a runtime environment (as in the .NET runtime) from other code. It's meant to provide hooks for you the developer, so that you can decide what kinds of code can call your libraries. You can demand that the calling code at least has a minimum set of privileges before you let them call your members/classes/assemblies. This is pretty handy, especially if you're planning on providing some dangerous functionality in the form of an API. Let's pretend that you're writing an API that lets users write to a sensitive disk area. Well what happens if some sketchy code wants to use your library to do it's dirty work!? Even if the user who's running the code has access to the disk, the user doesn't necessarily know what the application is doing, they could have gotten this off of Astalavista.com...they only really know what the UI is telling them. We're trying to stop some sketchy application from using your API to perform dangerous operations on disk. Enter code access security. Leveraging CAS you can put special attributes on your code that ensures that the calling code at least have certain privileges. If they don't, the runtime throws a security exception. In the block below, the AccessSecretArea() method only runs if the calling code already has access to "c:\windows\system32\secretplace". We can be assured that this method isn't going to elevate the privileges of untrustworthy code downloaded off the Internet and run unwittingly by some callous user. Remember that this has nothing to do with the rights of the user, it has to do with the trustworthiness of the calling code. In the code below we ensure that the calling code at least has rights to access the SharePoint object model. Otherwise the .NET runtime tells the calling code to hit the road. //Go get some Sharepoint API object. So how does your code get permissions assigned to it? Trust level explicitly set in web.config or bubbled down from the web.config held in c:\windows\microsoft.net\Framework\[version]\Config\web.config. Web Applications can dictate the trust level they want to run at with the <trust level="Full"> tag. The options for ASP.NET are Full, High, Medium, Low, Minimal. Out of the box, ASP.NET web applications run in full trust. Good idea?...who knows. What Permissions Come With Which Trust Level? Glad you asked. The table looks like below. It reads like so; when your app is running at trust level [column name], it gets [contents of cell] privileges for the [row name] permission group. Lets have a look. This speaks to why people often get the following exception when running code in SharePoint that tries to access to object model. Notice in the table above that WSS_Minimal (which is the default trust level that WSS ships with) doesn't have CAS rights to get at the object model. Hence the exception. Request for the permission of type 'Microsoft.SharePoint.Security. Raise the trust level of the application so you get the permissions you need. GAC your assemblies (so that they run in full trust and get the permissions needed). Leave your assemblies in the Bin folder and author a custom policy file. The pros/cons are detailed below. They were taken from here. Increase the trust level for the entire application. (ie. change trust level in web.config) Easy to implement.In a development environment, increasing the trust level allows you to test an assembly with increased permissions while allowing you to recompile assemblies directly into the BIN directory without resetting IIS. This option is least secure.This option affects all assemblies used by the virtual server.There is no guarantee the destination server has the required trust level. Therefore, Web Parts may not work once installed on the destination server. Create a custom policy file for your assemblies. Recommended approach.This option is most secure.An assembly can operate with a unique policy that meets the minimum permission requirements for the assembly.By creating a custom security policy, you can ensure the destination server can run your Web Parts. Requires the most configuration of all three options. Install your assemblies in the GAC. Easy to implement.This grants Full trust to your assembly without affecting the trust level of assemblies installed in the BIN directory. This option is less secure.Assemblies installed in the GAC are available to all virtual servers and applications on a server running Windows SharePoint Services. 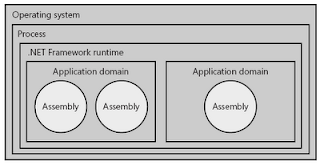 This could represent a potential security risk as it potentially grants a higher level of permission to your assembly across a larger scope than necessaryIn a development environment, you must reset IIS every time you recompile assemblies.Licensing issues may arise due to the global availability of your assembly. A great alternative to raising the trust level for the entire application, or GAC'ing your assemblies is to simply create a custom policy file that gives the assembly in question the trust level or permissions you have in mind. Because this post is already getting long, I'm going to point to do a set of instructions in a future post. The moral of the story is that by blindly cranking the trust level of your application you're allowing ANY code in that web application to run with additional CAS privileges you just handed out (see table above).